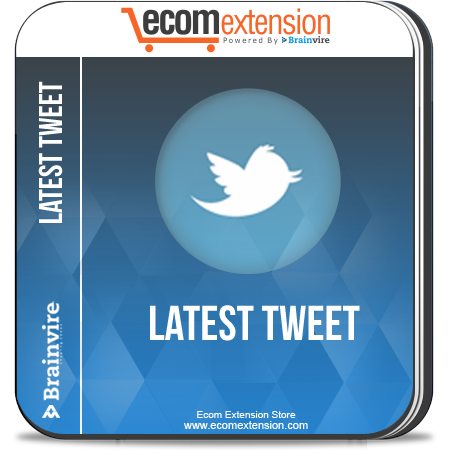 Latest Tweet Extension for Magento enables store owners to display their latest Tweets from Twitter to their Magento Website. It helps build and display your social popularity. 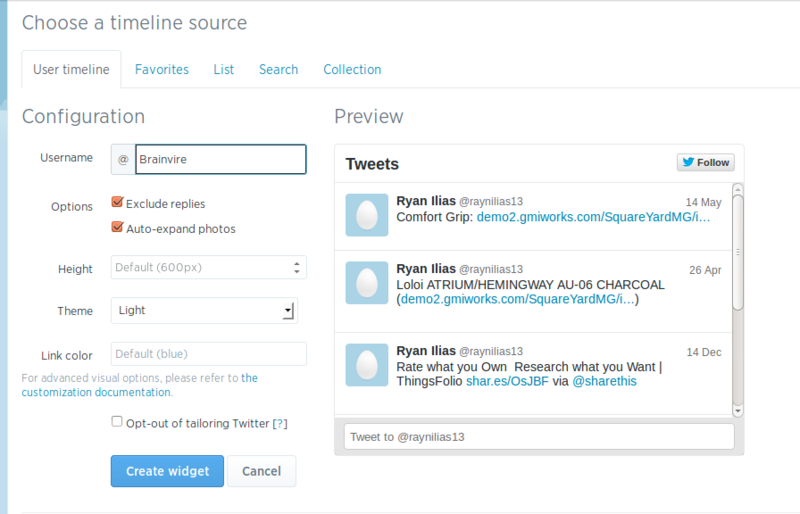 Latest Tweets Extension for Magento takes the most recent tweets from your business’s Twitter profile and displays them on your Magento Website. Your store front looks live and full of activity and it displays your social popularity to your potential customers. Twitter is a popular social network connecting and networking many people, organizations, enterprises and industries. Your Ecommerce store can benefit from the larger audience that twitter has to offer. With this simple extension for latest tweets, you can attract a lot of Twitter users to join you and hence promote your products in a smooth and efficient way. Our Latest Tweet Extension for Magento Introduces an easy way to achieve your business goals and attracting a crowd of potential buyers to your online store. The extension is easy to install and use. 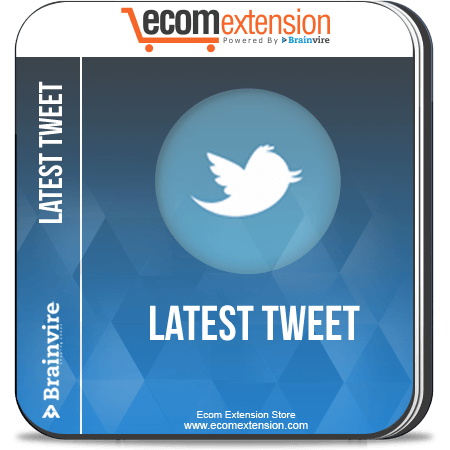 The Latest Tweet Extension is Lightweight, fulfills the task with minimum obstruction and is in line with the Magento and gain the great number of tweet of your web-store. 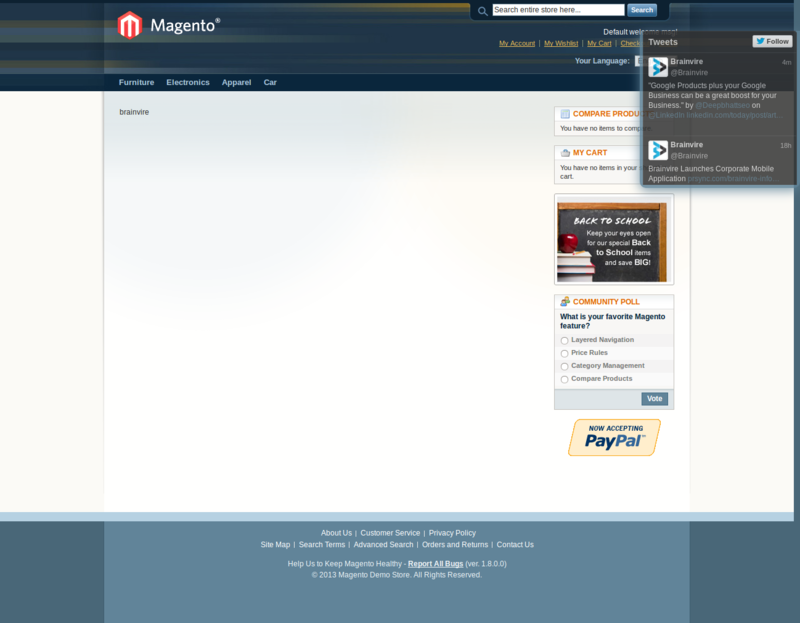 Customize Choose whether to display in the left ,right or bottom sidebar shown in the store. 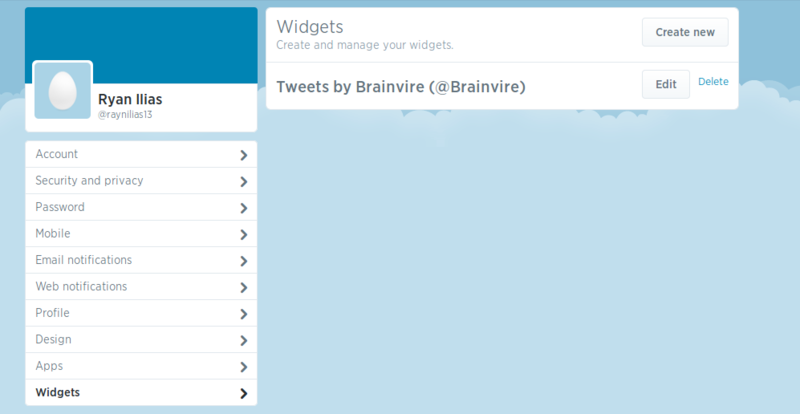 Set number of tweet displayed in the tweet box. Choose how many tweets you want to display. 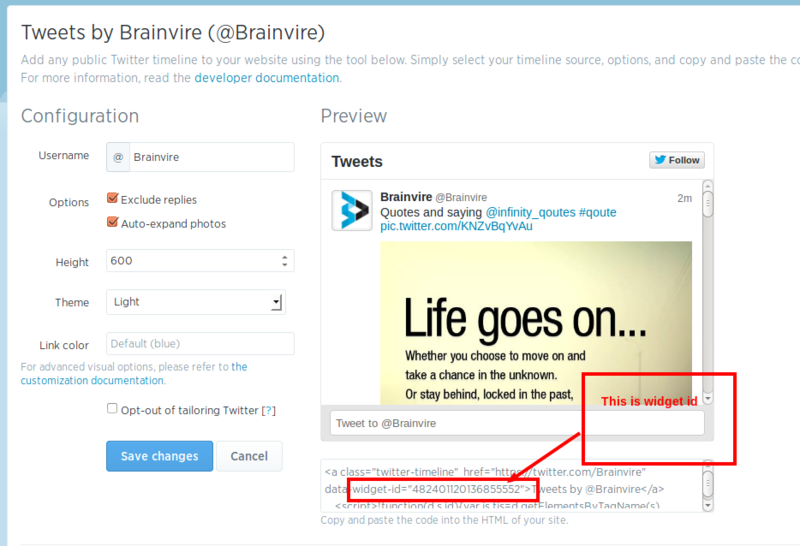 This Extension has ability to add position of tweet box. 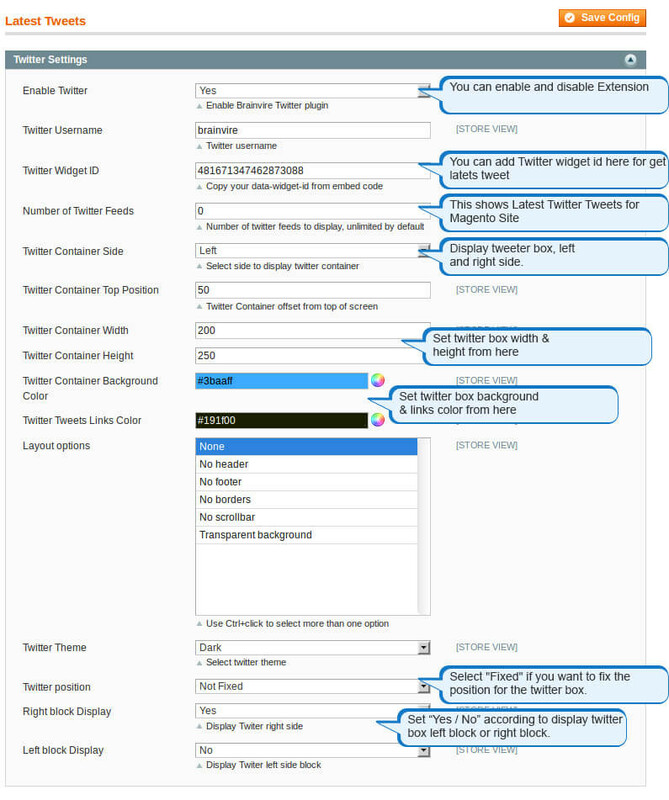 User can set Tweet Box left side and right side from settings, as per their requirement. 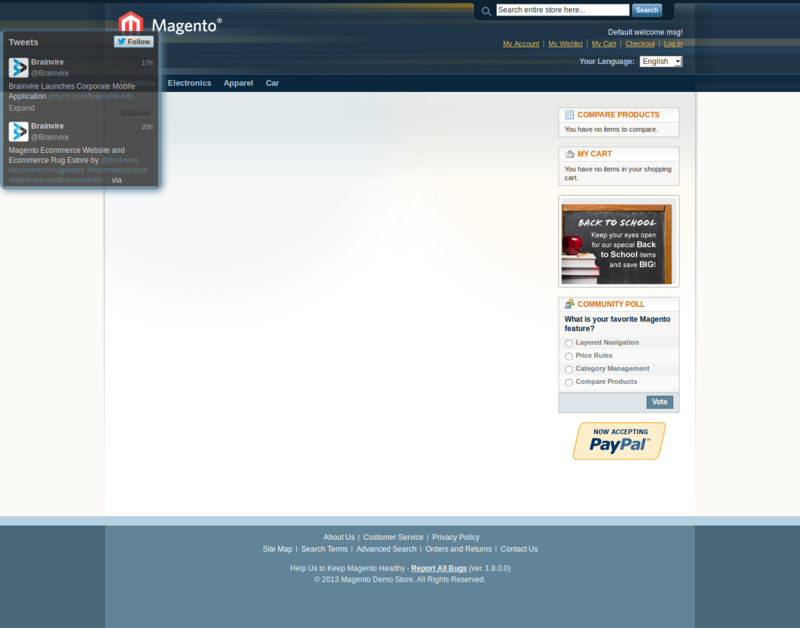 Compatible with Magento version 1.3, 1.4,...,1.9.